If you have any questions or want to enquire about dates, use our form to contact Sophie Loose or see their website for more information. A simple seaside spot beloved of walkers, families and birders. The old white fisherman’s cottage overlooks the Cley Marshes, a shingle bank stretches out to sea, the glorious Norfolk Wildlife Trust reserve is on your doorstep; marsh harriers flit past. And the pretty windmill-flanked village of Cley is just a ten-minute walk or one stop on the coast-hopper bus. 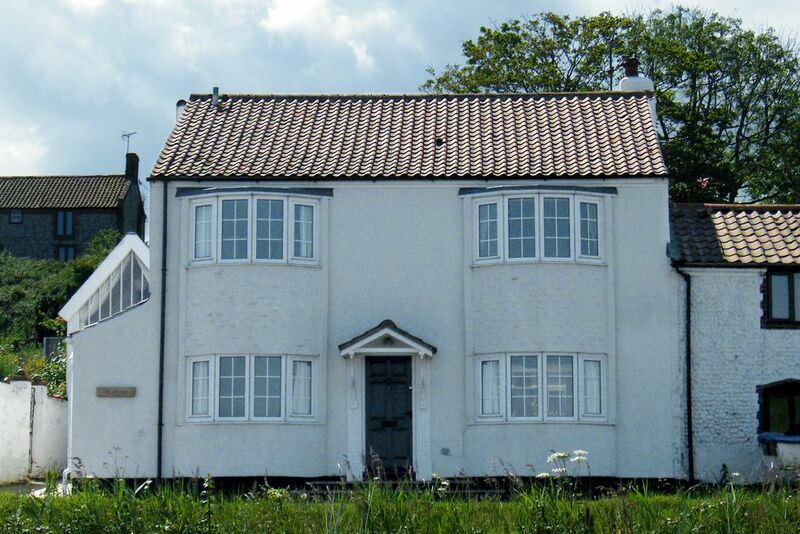 The cottage is fresh, bright, private and has wonderful big bay windows looking out to sea. There’s a wood-burning stove in the stripy rugged-and-cushioned sitting room, a lovely refectory table for seafood dinners, a rocking chair in the light-filled conservatory, a cosy den for kids. The garden is coming along a treat and there’s a sheltered suntrap courtyard and a barbecue with steps to even better sea views. Sleep soundly after a day on the breezy coastal path, in simple blue-white bedrooms of oak and pine; owls are the only night-time revellers around here. You’re at the heart of North Norfolk’s seaside fun: crabbing on Blakeney quay, seal-watching trips from Morston, Holkham’s white-sand beaches, seafood joints galore. Minimum stay: 3 nights. 3 nights on weekdays. 7 nights in high season. £670 for 3 nights plus £100 for each extra night (low season). Our party of 4 adults and 3 children loved this property! It's light and spacious with lovely furnishings and decor. Its perfect for large groups due to the open plan living area whilst the den and conservatory offer a quieter retreat if needed! Kitchen incredibly well equipped with everything you could possibly need! There is a cupboard full of books, dvds and games. The bedrooms are large and comfortable. There are stunning views of the salt marshes and the sea beyond. Walks from the house to Cley beach and Blakeney. Sophie, the owner, was informative and helpful. Highly recommended! Fabulous house - spacious, beautifully renovated, generously equipped. Definitely in our top five of 50+ holiday cottages visited over the years (if not the winner!) Nothing at all to suggest for improvement. Superb views across the marshes and a lovely big, light feel to the house. Plenty of space for our party of six adults, especially around the gorgeous table, and an extremely well-equipped kitchen. We would happily return. This place was absolutely perfect for our firs multi-generational holiday. Sophie was helpful and always got back to me promptly. I shall long remember the beautiful wood burning stove with it's warmth and "pictures"
There couldn’t be a better place to stay if you’re visiting North Norfolk! This is a top class cottage in a superb location – everything is of the highest quality and absolutely no corners have been cut. It’s spacious, comfortable, incredibly well-equipped, and full of all the little extras that are usually lacking in a rental property. All with easy access to the lovely village of Cley plus a 5 minute bike ride to a quiet but stunning beach where we saw some of the best sunsets we’ve ever seen anywhere. We absolutely loved The Saltings and can’t wait to go back. Nearest beach 10 minute walk. Fabulous beaches all along coast. Twitchers' paradise! - 5 mins from Cley Bird Reserve. Delicious foodie treats from local deli & Wiveton fruit farm and cafe as seen on TV in 'Normal for Norfolk'. Conveniently situated for visits to some stunning stately homes. Perfect retreat for artists and writers. Beautiful handmade pottery in village. Catering available if required from Kelby Light Catering - see website for details.